A letter of reference is a letter that testifies a person’s conduct or character and behavior. It may be written by a person who knows the individual at a personal level and can tell about his skills. The letter of reference may also be called as a letter of recommendation. The individual who writes the Sample Letters may be a previous employer, colleague, client or a supervisor etc. The letter of work reference sample can be downloaded online and it can be used for writing a reference letter for a colleague or employee on request. 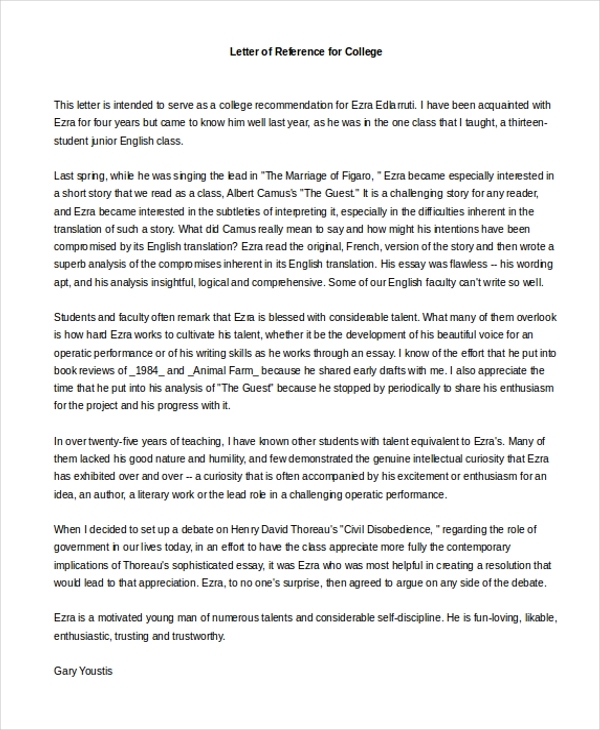 You may also see Sample Reference Letters. 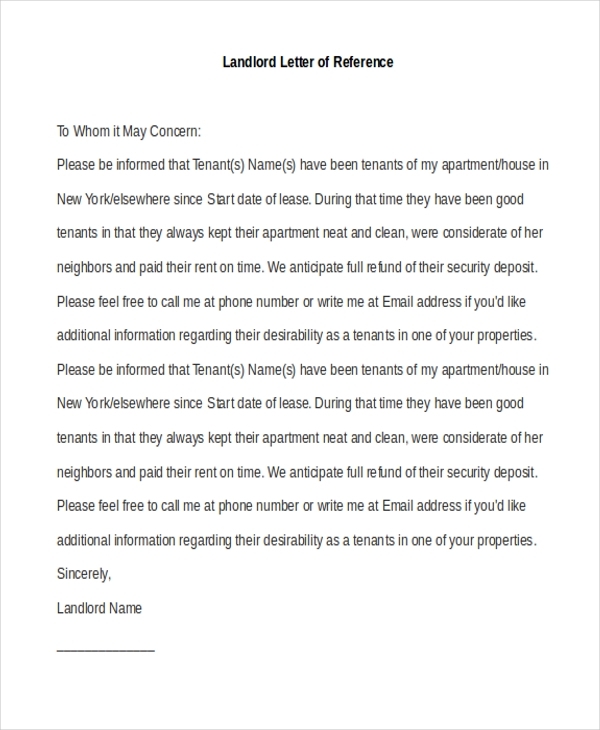 A landlord letter of reference is written by the landlord who has had a tenant living at his place for rent. He can write a reference letter stating that the tenant is a person of good conduct. A business letter of reference is given by a person as a recommendation which is basically provided by a previous client, business associate or any other contact. You can also see Recommendation Letter For Students. A coworker may also write a reference letter bearing testimony to the character and conduct of an individual. He or she may have been working together in the same company. 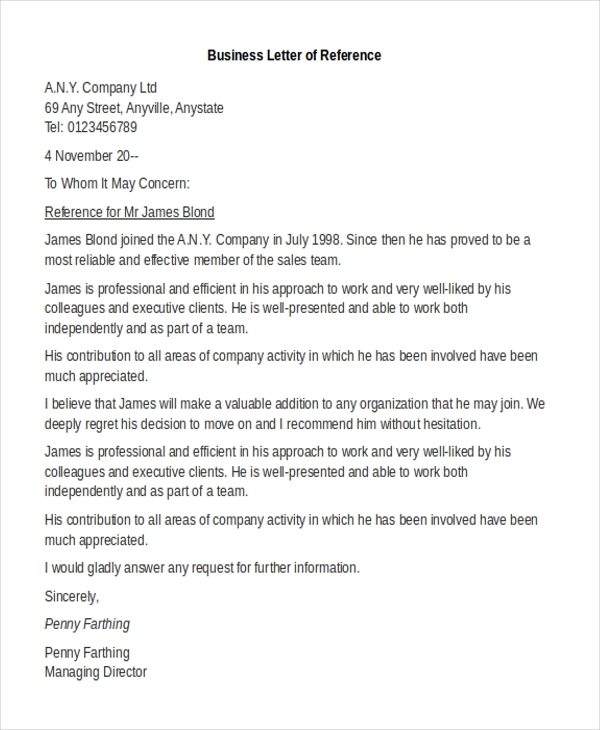 The employer writes a letter of reference to his employee on account of him leaving to another company. The employer may bear testimony to the conduct and character of the employee during the period in which he served as an employee. 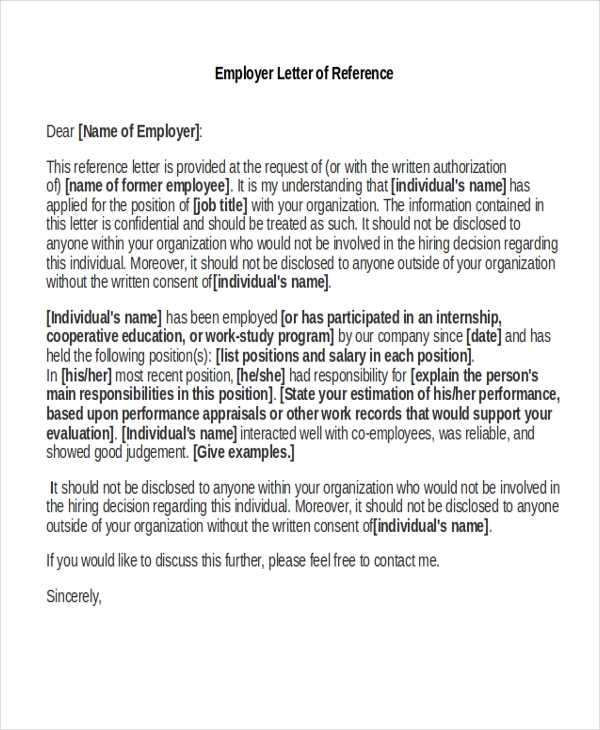 A job letter of reference is given at the time of application of the job. Along with the resume, the letter of reference may be submitted as a testimony to the character of the individual himself. 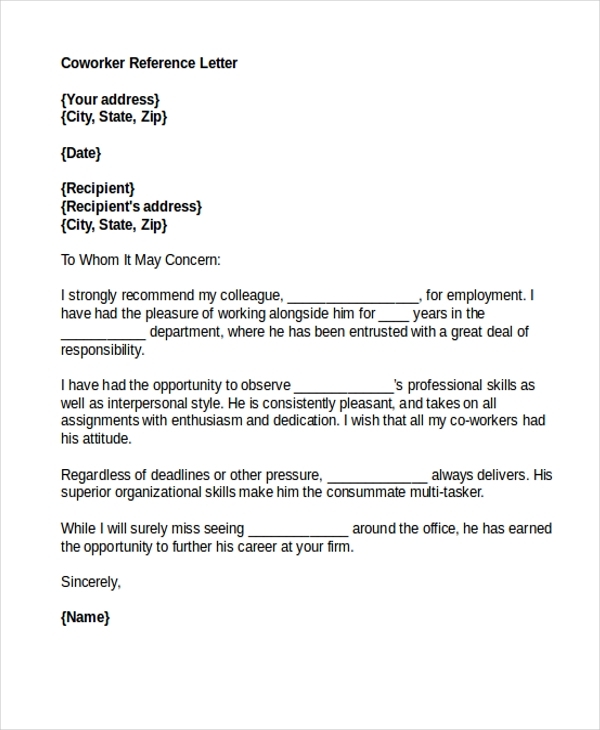 You can also see Letters of Recommendation For Employment. A letter of reference for college has to be submitted during the time of admission. The letter of reference signifies that the person entering the college has had a good conduct in the past educational institutes. A letter of reference for the student may have to be written out by the teacher, principal or the head of the department of the educational institute in which they have studied. A letter of reference sample is used for testifying the moral conduct, character and behavior of the person for whom it is being written for. This letter is used in companies while applying for jobs, in colleges for getting admission or for getting a house or room for rent by a previous landowner. It is a very useful tool which may be used for proving a person’s good character and morality. You may also see Professional Reference Letters. The letter of reference is very beneficial when it comes to proving that an individual’s character and conduct is good and acceptable. It acts as a very good tool to be used in corporate places like offices and institutes. It provides an evidence of your character and they need not be doubtful of your traits and characters in general. You can also see Character Reference Letters. The letter of reference sample may be used by individuals who are joining in a new place, say an organization or a new institute which a person is joining. It is a tool to present yourself as a person with a clean background.